Laravel 5.7 has been released and available to download. This new release introduces several new features, bug fixes and improvements. According to the documentation will receive bug fixes and updates until February 2019 and security fixes until August 2019. Upgrade from version 5.6 seems to be quite easy. The Estimated Upgrade Time is around 10 - 15 Minutes. Hereafter a short list of the new features. In @laravelphp 5.7 you'll now get a clear, concise message saying that the method doesn't exist on the mode. Read more at Laravel news. In Laravel 5.7 the Blade “or” Operator is replaced by PHP 7’s Null Coalesce Operator. Optional email verification to the authentication scaffolding is added to the framework. To accommodate this feature, an email_verified_at timestamp column has been added to the default users table migration that is included with the framework. In order to verify their email, the User model should be marked with the MustVerifyEmail interface. Laravel 5.7 offers integration with Symfony's dump-server command via a package by Marcel Pociot. php artisan dump-server --format=html > dump.html. Laravel now allows you to send notifications in a locale other than the current language, and will even remember this locale if the notification is queued. 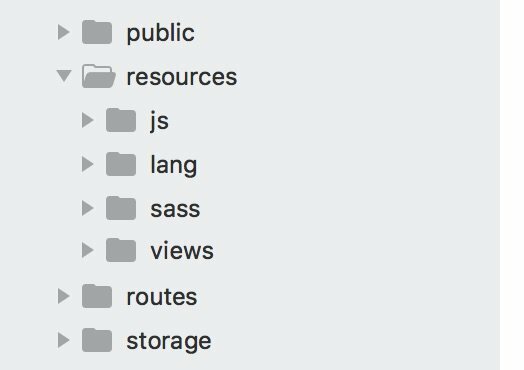 As announced by Taylor in a tweet , Laravel 5.7 comes with some little change in the resources directory. The assets directory will be removed and js and sass directory will be opt out to resources directory. A full list of new features is available at Laravel 5.7 Release Notes page.